Amrik Ahluwalia is an International Law Consultant and a senior member of the firm. He supervises the Corporate and the Litigation team in the firm . He is a former Joint Judge Advocate General of the Indian Air Force (1980-83) and was earlier as Assistant Judge Advocate General (1969-72) and a Command Judge Advocate General (1977). 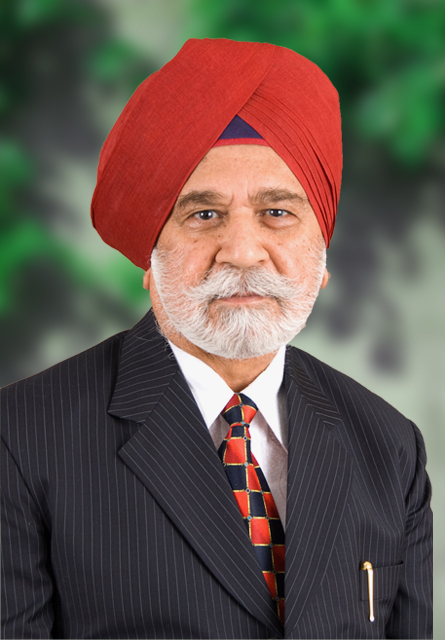 Mr. Ahluwalia is a Member and Legal Advisor to the Air Force Association as well as the Executive Committee of Council of Legal Aid and Advice, New Delhi. He was in the United Nations in 1961-62 and has been trained for flying in Indian Air Force (1954), the Royal Air Force (1957) & the USSR Air Force (1981). He was honored with the gallantry Award during the Indo-Pak War of 1965 and is experienced in flying accident investigations.